With its sleek Parisian Exterior and Minimal Arty interior, Hotel Sezz was hands down exactly what you need when visiting Paris. I mean, I had a bath / jacuzzi in my room overlooking a clear view of the Eiffel Tower! Perfect to gaze at in all its glory especially at night when its lit and sparkling. 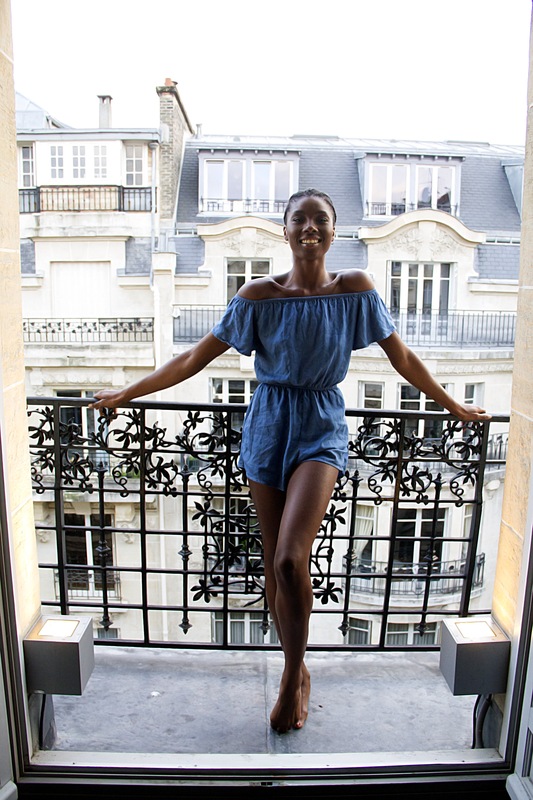 I was spending 10 hours a day working in Paris Fashion Week show rooms and coming back to Hotel Sezz was the space I needed to unwind after a long day. My outfits clearly matched my mood. Chilled and relaxed.